Shtisel (directed by Alon Zingman) is a compelling, authentic, and charming TV dramatic series about a multi-generational ultra-orthodox (haredi )family living in the Geula neighborhood of Jerusalem. In the first episode, it is one year since the mother has passed away. The focus of the series is on the father and his grown unmarried son, Akiva, who is living with him. Akiva has a lot of charm -- he is a substitute teacher in the heder and a talented artist, who likes to sketch and to talk about his dreams. It is time for him to choose a bride and we are drawn in as the matchmaking process enfolds. Even though it seems that much of your life is scripted for you in this community, things are not as simple as one might have thought. Akiva's married sister is the mother of five small children. When her husband leaves her, she manufactures a fictional story in order to maintain the family's good name -- something that is so important in this community. Akiva himself is trying to choose his own bride and must make it look like it comes from the matchmaker. Even his widowed father has a love interest that he is pursuing. So matters are complicated and, at the same time quite compelling. Shtisel is not the first TV series that focuses on the haredi world. There were series such as A Touch Away, Katmandu and Mekimi. 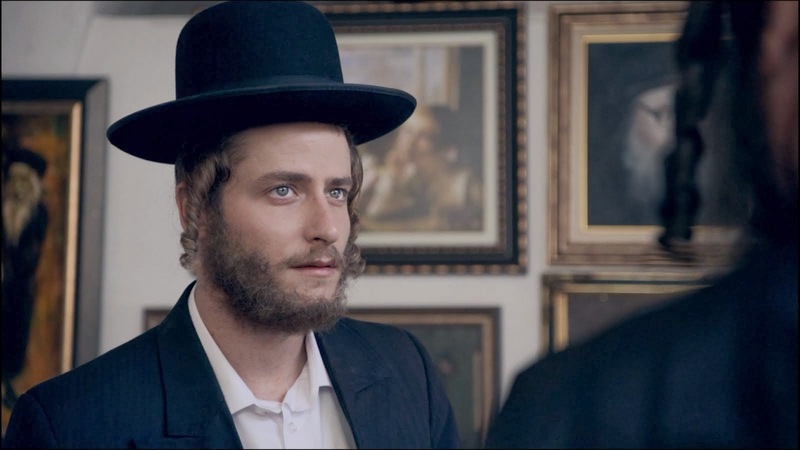 Nonetheless, it is interesting how Israeli society and Israeli filmmakers find the haredi world so compelling, especially following the popularity of recent feature films such as Avi Nesher's Wonders and Rama Burshtein's Fill the Void (both previously reviewed on this blog). The series has won a number of Israeli awards -- prize for best TV dramatic series, and also prizes for directing and script. Shtisel is available from Go2Films.